There’s a lot about the Magellanic Penguins living in Patagonia that is fascinating. Part of it is their cool designation; they’re named after Ferdinand Magellan who first spotted the little critters in 1519. Another has to do with their happy feet. These penguins have been known to wander from the southern coast of Argentina all the way to southern Brazil. According to a report this year from the Energy Information Administration, the statistical arm of the U.S. Department of Energy, Argentina’s Vaca Muerta shale oil and shale gas field in the Neuquén region is one of the largest of its kind in the world. It might turn out that Vaca Muerta—which translates to dead cow—may well replace Argentina’s vast beef production as the country’s main source of economic strength. Of course that’s contingent on overcoming major political obstacles, since President Cristina Fernández de Kirchner hasn’t exactly been kind to foreign investors. Nonetheless, Chevron, viewing the region’s immense bounty, is pushing on and making some headway with Queen Cristina, as the president’s detractors have nicknamed her. Besides the politics, hydraulic fracturing, or fracking, remains as controversial among critics in Argentina as in the U.S. Concerns range from contaminated groundwater to the atmospheric impact of the equipment that’s used in the process, which occurs when chemical-laced water and sand are blasted underground to break apart rock and release gas. There are nuances to the entire gas exploration and production process that even those in the midst of the debate often confuse the facts. 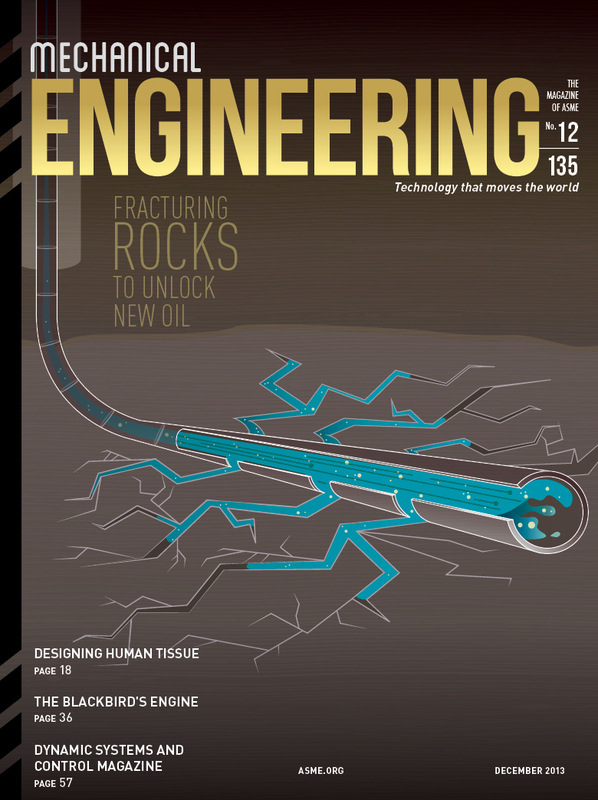 In our cover story, “Fracturing Rocks to Unlock New Oil,” on page 24, we sort out how the process works and bring some clarity. An adjoining article, “Home on the Shales” reported by Bridget Mintz Testa, places us in Texas—one of the most robust states for hydraulic fracturing in the U.S.—and in the middle of a storm over the technology. Besides his passion and knowledge of gas turbines, Langston is an accomplished traveler who has visited the southernmost tip of South America several times. When we chat, he always leaves me craving to hear the bellows of the charismatic penguins of Patagonia. Much as those searching the shale hunger after the sight of oil. Youre decent relating to this being the musical, though the genuine cues are so understated regarding take that distinction assess more than your mind. I cherished the tempting feel this film envelopes an individual in, from the definite music towards the cinematography to the free performances. It is measured one of their finest films, even if in the vein of plum, it ages enhanced eventually. also pay a visit this web site on regular basis to take updated from hottest gossip. Wonderful goods from you, man. I have understand your stuff previous to and you are simply too magnificent. I actually like what you’ve bought here, certainly like what you are stating and the best way by which you are saying it. wise. I cant wait to learn much more from you. That is really a great site. by the family members, bonding within the discussion connected with naruto cosplay. not able to realize the total opportunity connected with naruto cosplay. IE still is the marketplace leader and a large component to other folks will omit your excellent writing due to this problem. what you are talking approximately! Bookmarked. Please also consult wiyh my website =). I am no longer certain whether this put up is written by means of him as no one else recognize such distinctive about my problem. good CinemaBox comes with an amazing and excessive collection of videos and Television set Courses. You can download your selected videos to your phones or you can enjoy them on the web.nice. good over their tv display as well as watch limitless motion pictures with friends and family. Please keep in mind that AllCast, best.